Source: Cecil J. 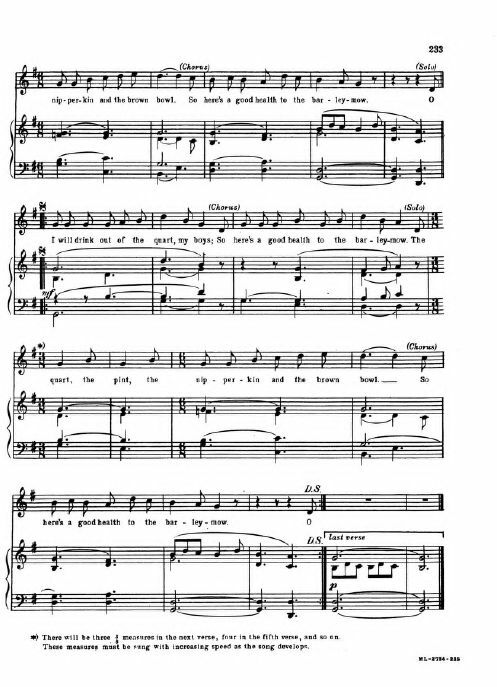 Sharp, One Hundred English Folksongs (Boston: Oliver Ditson Company, 1916), #99, pp. 232-234. 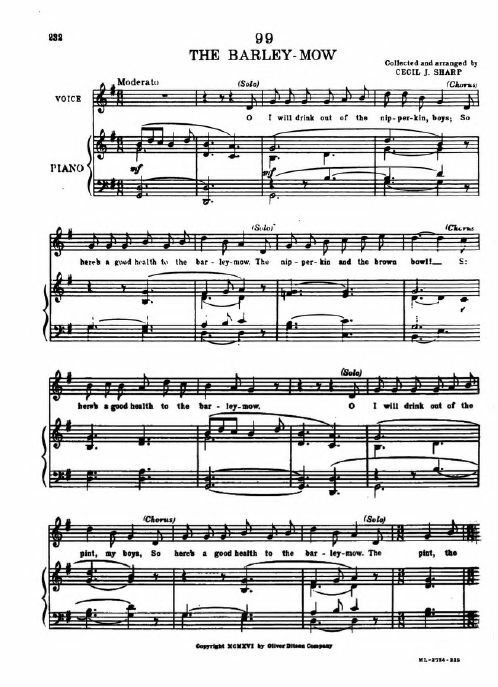 Chorus. 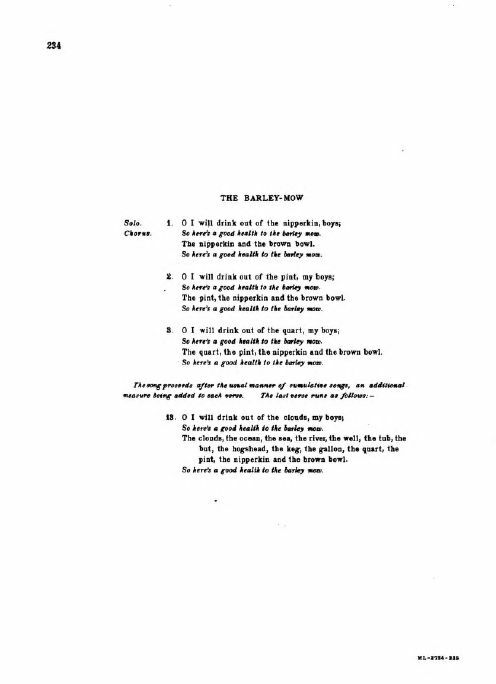 So here's a good health to the barley mow. The nipperkin and the brown bowl. So here's a good health to the barley mom. So here's a good health to the barley mow. The pint, the nipperkin and the brown bowl. The quart, the pint, the nipperkin and the brown bowl. pint, the nipperkin and the brown bowl.